Back in January, the Espina family challenged Maryland’s cap on damages when suing a local government employee. Manuel Espina was fatally shot by a Prince George’s County police officer in 2008, and as a result, a jury found that the officer acted with malice and awarded the family $11.5 million in damages. However, with the cap in place, that award was only limited to $400,000. This case had been closely watched as the Court of Appeals heard arguments and made its decision. Although Maryland’s Court of Appeals had upheld the cap on damages several times before, some thought this might be the case that would change the Court’s pattern of upholding the damages cap. Unfortunately for the Espina family, the Court of Appeals upheld the cap on damages in a 7-0 decision. The County argued that doing away with the cap would subject the County to use taxpayer money in making payouts. That would take away substantial amounts of money from projects that would improve the County’s infrastructure. On the other hand, the Espina family’s attorneys argued that keeping the cap on damages would never deter local governments from combatting police brutality and it would not stop officers from repeated misconduct either. With the Court’s ruling yesterday, Maryland victims suing a local county or city government will still be subjected to a cap on the amount of damages they can recover. In February, a bill was introduced to combat aggressive drunk driving in Maryland. Last week, Maryland’s Senate overwhelmingly passed this legislation (46-0) that would allow a victim injured in a drunk driving accident to recover punitive damages from the drunk driver. A hearing on the bill is expected on April 1st in Maryland’s House. If the House passes the legislation too, the bill would then go to the Governor for final approval. Drunk driving accidents that result in death or serious injury occur far too often in Maryland and throughout the rest of the country. Although strict laws are in place with harsh penalties for breaking them, it is still not enough as innocent people are killed every day by drunk driver. Current laws certainly have not led to any decrease in the number of drunk drivers on the road in Maryland. With this potential new law, not only would drunk drivers have to face possible jail time and/or fines, they could also be liable for paying punitive damages to injured accident victims. Punitive damages are completely subjective and not based on any specific numbers. They are meant to punish the defendant for his/her reckless behavior so that it does not happen again. With current drunk driving laws in place, most offenders do not seem to be deterred from driving drunk again. But, if they are required to pay hundreds of thousands of dollars to victims or their families, drivers might think twice about getting behind the wheel drunk again. Normally, in all other personal injury cases, punitive damages are rarely awarded because it must be proved that the defendant had “actual malice” or “specific intent” to harm the victim. Obtaining punitive damages under this new drunk driving bill would be much easier and could be applied just by the fact that the defendant operated a car while intoxicated and injured another person. If you or someone you love has been injured or killed in a Maryland accident caused by a drunk driver and would like more information, please call us at (301) 854-9000 for a free case evaluation or visit us online at: http://www.portnerandshure.com/Auto-Accidents/Car-Accidents/Fatal-Car-Accidents.shtml . 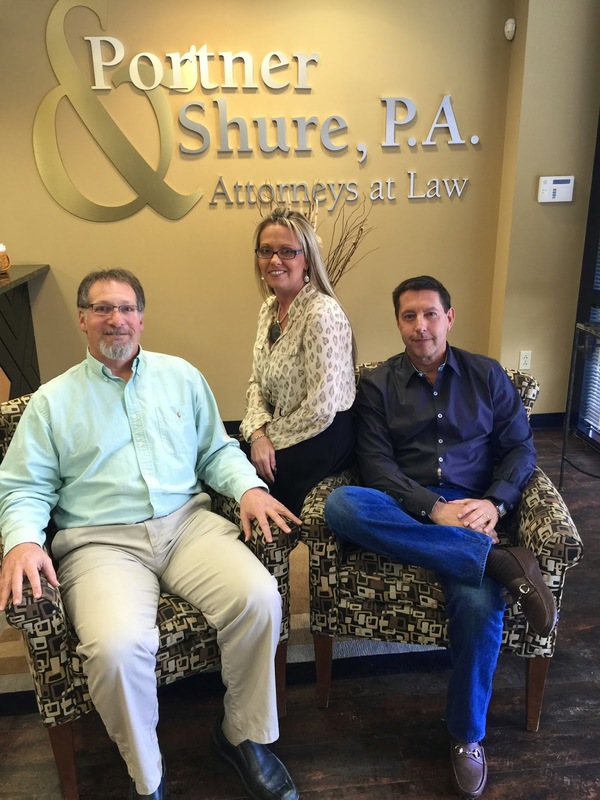 Portner & Shure has several conveniently located satellite offices throughout the state of Maryland for our clients to meet with some of our experienced attorneys and paralegals. Last year, 442 people died in accidents on Maryland roadways. That number is a huge improvement from the record number of 872 deaths reported in 1968. The number of deaths in 2014 is lower by 24 deaths compared to 2013. The significant increase in driver distractions (i.e. talking on cell phones and texting), while still causing accidents, are not at the extreme levels seen in previous years. Maryland Transportation Authority officials also announced that traffic fatalities linked to drunk driving decreased by 19 between 2013 and 2014 to a total of 133 deaths. However, one statistic is still startling: someone is killed every 66 hours in Maryland because of impaired driving. The state of Maryland still continues to work toward achieving its goal of zero traffic deaths, and although 442 deaths is still a long way from zero, tremendous progress continues to be made. Maryland Transportation Secretary Pete Rahn is pleased with the improvement being made, “especially when you consider the millions more cars we have on the road today.” Rahn credits emergency responders and stricter laws against drunk driving and aggressive driving for the decline in deaths. Transportation officials will continue to focus on the “four E’s” of highway safety: engineering, enforcement, education, and emergency response. One area of improvement is seat belt usage. While laws have been in place requiring seat belts to be worn in cars for several years, 8 percent of Maryland drivers do not abide by the law. In 2014, 37.5 percent of the deaths involved drivers or passengers not wearing seatbelts. Some other interesting statistics from the 2014 data show that a majority of the traffic deaths occurred in Prince George’s County and Baltimore County, while the fewest occurred in Howard and Carroll Counties. Also included in the total fatalities number is 100 pedestrian deaths and 66 motorcycle accident deaths (the only major statistic to increase from 2013). On Saturday, eastbound lanes of Route 50 at Aris T. Allen Boulevard and Route 665 were closed because of a three-car accident. Unfortunately, the three occupants in one of the vehicles involved all died. Raymond Badders died at the scene, and his daughter, Susannah Badders, who was driving, and the third passenger passed away at Shock Trauma. Occupants in the second vehicle were not injured. The driver of third vehicle, an off-duty police officer, suffered only minor injuries even though his vehicle overturned. Maryland State Police say that evidence shows the third vehicle swerved into the first vehicle to avoid stopped traffic. The third vehicle overturned and pushed the first vehicle into the second vehicle in front of it. Police have not said if speed or other factors such as texting or talking on a cell phone led to this horrific accident. While car accidents are common, determining exactly what happened at the scene of an accident can be very difficult. All accidents are different and liability changes depending on the circumstances of each case. Our experienced Annapolis car accident attorneys have many ways to prove liability in an auto accident. The action you take immediately after your accident will affect your personal injury recovery. Winning your case against large insurance companies requires a strategic approach that we have developed over the last 25 years. To help drivers through this difficult period, the MdTA will post updates to traffic patterns on Twitter with the hashtag #i95bmore and messages will be posted on the electronic message boards. Two of those 29 traffic pattern shifts will begin one week from March 29, and MdTA officials expect it to have “particularly large effects on traffic.” On the Northbound side, “lanes are to be split—three to the left and one to the right—from Hanover Street to Key Highway.” Therefore, all drivers who need to exit onto any of those streets must be in the far right lane. On the Southbound side, “lanes will be split—two to the left and two to the right—from Key Highway to south of the I-395 on-ramp.” And again, if you must exit onto one of those streets, you must be in the far right lane. While this will be a frustrating time for many drivers trying to get to and from work, everyone needs to remain calm and drive safely so as not to put other drivers at risk or construction workers at risk. Portner & Shure attorney Kevin Ruby, with assistance from one of our senior claims paralegals, Pam Brown, recently won an award of more than $395,000 for our client’s spouse in a Maryland workers’ compensation dependency claim case. The decedent’s wife was not working at the time of the accident and was solely dependent on her husband’s income. Almost two years ago, on a rainy day, the decedent stepped out of his car at his place of employment and put his hood on to avoid getting wet. Sadly, he was run over and killed by a co-worker in the parking lot. The damages awarded in this case were very complicated because there was the award determined by the Workers’ Compensation Commission (WCC) and a wrongful death claim arising from the co-worker running the decedent over with his car. The WCC required a hearing to determine whether decedent’s wife was dependent on his income by hearing testimony from her and examining the couple’s financial records. Ultimately, the WCC determined she was a dependent and awarded a weekly payment of $721 over a 144-month period to decedent’s spouse based on the decedent’s income before death. However, she is only entitled to these payments up until what would have been the decedent’s 70th birthday, which is eleven years from now, or 127 months. As expected, attorneys representing plaintiffs applauded the proposed legislation, which would triple Maryland’s statutory cap on non-economic damages in civil cases for “catastrophic” injuries. On the other side, defense attorneys condemned the bill, saying “the higher potential recovery will come at the cost of patient care and higher consumer costs. Similar legislation was introduced in Maryland’s General Assembly last year, but it failed to pass. The current cap in Maryland for non-economic damages is $755,000 for medical malpractice cases, and close to $950,000 for all wrongful death medical malpractice cases. The current law in Maryland for pain and suffering awards makes no distinction between victims suffering significant temporary injuries attributed to another’s negligence and victims enduring severe permanent injuries. If the proposed bill were to pass, there would be “fair compensation for the most catastrophically injured Marylanders.” In addition, if the cap were to increase for the most severe injuries, it would cause medical practitioners to act even more cautious which makes all Marylanders safer with fewer catastrophic injuries. Hospital systems in Maryland equate this tripling of the cap on damages to punitive damages. If Maryland hospitals are forced to pay these extremely high awards, they would not have the funds or the ability to take appropriate care of patients. In addition to this proposed bill, another bill was also introduced that would lower the current non-economic damages cap, instead of tripling it. Hospital systems strongly favor this version of the bill, while plaintiff attorneys strongly oppose it. Just think, if you were to lose your eyesight as a result of a hospital’s negligence, the most you could recover in non-economic damages for pain and suffering and the like would, at most, be $755,000. That certainly does not seem like a fair amount for someone who is now blind to be able to live off of for the rest of their life. And any sort of decrease would negatively affect the victim. Associate Attorney, Christina Ruhl won a verdict of over $12,650.00 against State Farm in Anne Arundel County District Court. The defense had disputed both liability and damages. The Defendant claimed that the Plaintiff had pulled out from a stop sign and made a left turn in front of him, causing the collision. The Plaintiff, on the other hand, claimed that he had stopped at a stop sign, which was set far back from the travel lanes of the cross street. Intending to make a left turn, Plaintiff then inched forward to get a better view, but never into the thru lanes of the cross street. The Defendant, who was traveling at a high rate of speed swerved to the right, incorrectly thinking the Plaintiff might pull out in front of him. The Defendant struck Plaintiff where he was stopped and spun his vehicle almost 180 degrees into the intersection. Ms. Ruhl used the physical evidence at the scene to prove that the Plaintiff never entered the path of the Defendant, and that Defendant’s swerving had caused the accident. The physical evidence included skid marks, the final resting locations of the vehicles, and other physical damage to the scene. After proving liability, Ms. Ruhl argued for her client’s medical bills, lost wages, and pain and suffering. Plaintiff recovered the full amount of his medical bills plus pain and suffering damages of $7,500 and lost wages of approximately $3,700, for a total verdict of over $12,650.00. This month, we honor Sarah Sadler, Portner & Shure’s Operations Manager, as she has reached a major milestone: 20 years in the Portner & Shure family. Sarah has been an integral part in helping this firm recover over $175 million in awards for accident victims over the years. She also works directly with the heads of different departments including marketing, social media, and paralegals to make sure all aspects of the firm run smoothly. Most importantly, Sarah has helped keep the firm at the top by staying up-to-date with top-of-the-line technology as the legal industry continues to change and evolve. Portner & Shure is one of the few firms in Maryland and Virginia that uses Needles, an advanced case management system that keeps track of every offer made by insurance carriers. Further, Sarah makes sure that the firm has a large presence on the Internet with Facebook, Twitter, YouTube, LinkedIn, Blogger, Avvo, and Google+. She is also responsible for making sure every client is extremely satisfied with our services rendered, and is the main reason our firm has numerous 5-star reviews. When Sarah is not doing work for Portner & Shure, which is rare, she enjoys spending time with her husband, Stu, and two children, Alexandra and Jessica. She also loves cheering on the Orioles and Ravens. Finally, Sarah adores her dogs, especially her German Sheppard, Cooper, who you have probably seen on our Facebook page, if you have “liked” us. Portner & Shure certainly would not be one of the top personal injury firms in Maryland and Virginia without the hard work and dedication that Sarah has poured into the firm. Thank you Sarah! Just as warmer weather has made its way into Maryland and the bitter cold winter temperatures retreat, drivers will have to combat potholes on the roads. The prolonged extreme cold temperatures that froze the state during February combined with excessive amounts of snow and ice are to blame for a bad pothole season. Several water pipes have burst throughout Baltimore City leading to potholes as well. The Maryland State Highway Administration (SHA) is “bracing for the worst,” expecting to find many potholes on Maryland’s roads. The SHA explained that potholes form “when water seeps into cracks in roads, then freezes and expands, pushing pavement upward.” Vehicles driving over expanding pavement chips away parts of the road and when combined with plows running over them and the corrosive effects of salt brine used on roadways, potholes appear. In the first 9 days of March, AAA received 2,800 tire-related calls for roadside assistance, a significant increase from February. The increased number of potholes on Maryland roads is likely to blame for the tire damage. Officials are having a difficult time keeping up with repairing the potholes because of the large number across the state. The SHA has a goal “to respond to potholes within two days.” City residents can call 3-1-1 to report potholes to officials. The City has already repaired 25,000 potholes this year and thousands more will be filled in the coming weeks. Driving over potholes can cause severe damage to your car, truck, or motorcycle. Alignments can be thrown off, tires can be damaged, and rims can be bent. Sometimes, structural damage to the vehicle can result. Potholes are especially dangerous for motorcyclists because they can be thrown off their bike and severely injured. Accidents can also result if a driver is trying to avoid a pothole and crashes into another vehicle. Another possibility is that the pothole could cause a driver to lose control of their vehicle and get into an accident. Cities and counties are expected to keep their roads safe. When they fail to do that and their negligence leads to a car, truck, or motorcycle accident, victims may have a legal claim to seek compensation for injuries, losses, and damages. It is important that if you are involved in a car, truck, or motorcycle accident that you hire an experienced attorney who can uncover all liable parties and fight for full compensation. Maryland Workers’ Compensation Awards for Lost Body Parts Among Highest in U.S.
A new report by ProPublica showed the vast differences in the dollar values of various body parts that are lost due to a work injury. The report also shows that essentially every workers’ compensation case is different because every injury and the resulting compensation are different. For arms, legs, feet, and eyes Maryland ranked in the top ten for highest compensation awards. For example, a lost leg in Maryland has a maximum compensation value of $301,600, almost double the national average of $153,221 and more than six times higher than some other states. Further, Maryland actually ranks second and third respectively for a lost foot and eye, with maximum awards more than double the national average, and more than eight times higher than some other states. While these numbers are certainly encouraging for Maryland work injury victims, it is rare that a workers’ compensation case actually results in these maximum compensation payments. Most importantly, the injury must have resulted in total loss of the body part to even have a chance at the maximum award. In reality, a complete loss of limb is rare, and serious injury to a body part is much more common. As a result, the compensation rates for injuries where a body is not lost are much lower, and involve a more complex and subjective calculation. When limbs and other body parts are lost or amputated due to a work injury, states have set calculation methods for determining dollar amounts. Final award decisions are ultimately made by the state’s workers’ compensation commission. Portner & Shure attorneys have recently earned several favorable workers’ compensation awards for clients, including $395,000 (run over and killed by car in employer parking lot), $115,000 (leg below knee amputated due to injury), and $100,000 (eye injury resulting from use of nail gun). In 2014, there were over 24,000 workers’ compensation claims filed in Maryland, with back injuries comprising 28% of all injuries. The top four industries accounting for the most workers’ compensation claims are policemen and security, truckers, colleges or schools (including daycare centers), and hospitals. When you are in an accident at work, you are entitled to workers’ compensation benefits whether you, another employee or your employer is at fault. If the bill becomes law, Maryland would be the 23rd state with a top speed limit of 70mph, but just the 5th in the highly-populated northeast (Maine, New Hampshire, Pennsylvania, and Virginia). This increase would still be far below the nation’s top speed limit of 80mph in four western states. Opponents of increased speeds “equate higher speeds with more deaths.” While speeding has been proven to be a leading cause of car accident deaths, distracted driving still leads the way, with drunk driving not far behind. The Insurance Institute for Highway Safety contends that “any increase in speed makes crashes more likely and more damaging.” Although it “gets people to their destinations a little faster…, it doesn’t come without a cost.” As is the case with everything in life, there are costs and benefits. As Maryland drivers know, people speed on every roadway, especially on I-95, I-695, and I-83, with no regard whatsoever for the posted speed limit. A 5mph increase will likely not make a huge difference because the same fast drivers will continue to drive fast and the “slow” drivers will continue to drive within the speed limit. More must be done to combat distracted driving (i.e. texting while driving) and drunk driving in order to lower the number of driving deaths, which are more significant problems and leading causes of car accident deaths than speeding. While a majority of our personal injury cases are settled out of court, sometimes a deal cannot be reached between the attorney and the insurance company, or the settlement offer is too low and the attorney recommends and the client agrees to go to trial. Most clients do not know what litigation or going to trial means. Below, we discuss 4 steps to help better understand what to expect during this process. First, you will meet with your lawyer to discuss what happened, including injuries, medical treatment, and damages sought. Next, your lawyer files a complaint in the appropriate court. As in every case, there is a plaintiff and a defendant. In your situation, you are the plaintiff because you are bringing the suit. The defendant will then file an answer to your complaint, and generally, the defendant’s attorney files a general denial to the allegations. Discovery consists of collecting information about the accident and the injuries. The three most common forms of discovery include: interrogatories (questions that must be answered), document requests (requesting documents, such as medical records and police reports), and depositions (parties to the suit and witnesses give testimony that is video recorded at the lawyer’s office). Oftentimes, motions will be made by both sides to ask the court to make a ruling on some issue of concern to that party. For example, lawyers will make a motion to exclude certain evidence if it was collected illegally and is harmful to their client’s case. Once discovery is over and all motions are made, the two sides will work to try and negotiate a settlement. However, sometimes the Court will order both parties to try and resolve the case before a neutral third party, known as a mediator. If a settlement or mediated agreement cannot be reached, the case will go to trial. Before trial, your lawyer will prepare you for testifying in Court. If the amount sued for is $30,000 or less, it will likely be a quick trial in district court in front of a judge. If the amount sued for is greater than $30,000, the trial will be in front of a 6-person jury in circuit court. Hyundai Motor America just announced a recall for Elantra midsize sedans in the United States and Canada. Affected cars include model years 2008 to 2010 for the Elantra sedans and model years 2009 to 2010 for the Elantra Touring hatchbacks. 205,000 of the affected Elantras are in the United States. The recall is the result of a power steering issue that can occur if a sensor detects a “discrepancy” in steering input. The power-assisted steering would then be disabled and manual steering would take over. While injury will not result directly from this issue, the increased difficulty of steering the car if manual steering takes over raises the risk of a crash, especially at low speeds. Although the loss of power steering “has not been considered an official safety defect in the U.S.,” the auto industry has increasingly reported similar problems as a safety recall, as Hyundai did here. No injuries have been reported at this time. Hyundai will notify dealers and car owners with affected vehicles of the problem and has agreed to repair all vehicles free of charge. Hyundai Elantras are consistently one of the top ten best-selling cars in the United States. Therefore, it is important for Elantra owners to be aware of the potential steering issue and get it fixed before encountering a problem. Over the weekend, two people who were waiting at a “Ride On” bus stop in Kensington, Montgomery County, Maryland, were struck by a Toyota Prius that drove directly into the bus stop. The accident occurred Saturday morning on Connecticut Avenue near Howard Avenue. A witness at a nearby gas station said he saw three people at the bus stop, and two of them managed to get out of harm’s way, but the third pedestrian was hit and pinned under the car. That person who was stuck under the car was an 18-year-old woman who fire fighters were able to rescue. Witnesses described the whole scene as “pretty graphic.” The 18-year-old woman suffered two broken legs, and doctors say she is expected to survive. The other pedestrian that was struck refused treatment at the scene. The driver of the Prius was a 61-year-old man from Silver Spring. Police originally thought this accident was the result of a DUI, but later determined that was not the case. Instead, officials believe some medical emergency, such as a seizure, likely caused the crash. The driver was taken to the hospital to be treated for non-life-threatening injuries. Police officers have since said that the driver will be ticketed for the crash. Sadly, this is the second accident in Montgomery County in a two-week period involving pedestrians being hit by cars at a bus stop. On February 18, “an out-of-control car” struck and killed Vanessa Dixon in Silver Spring as she was waiting at the Montgomery County “Ride On” bus stop. The driver in this accident, a 22-year-old man, was arrested for suspicion of DUI. Although the accident this past weekend was not alcohol related, the fact that two accidents have occurred at bus stops in Montgomery County in a two-week period raises concerns about pedestrian safety. Bus stops are set up very close to the road without any protection for pedestrians waiting for buses if a car does drive off the road and onto the sidewalk. New safety procedures might need to be considered in order to better protect pedestrians waiting at bus stops.